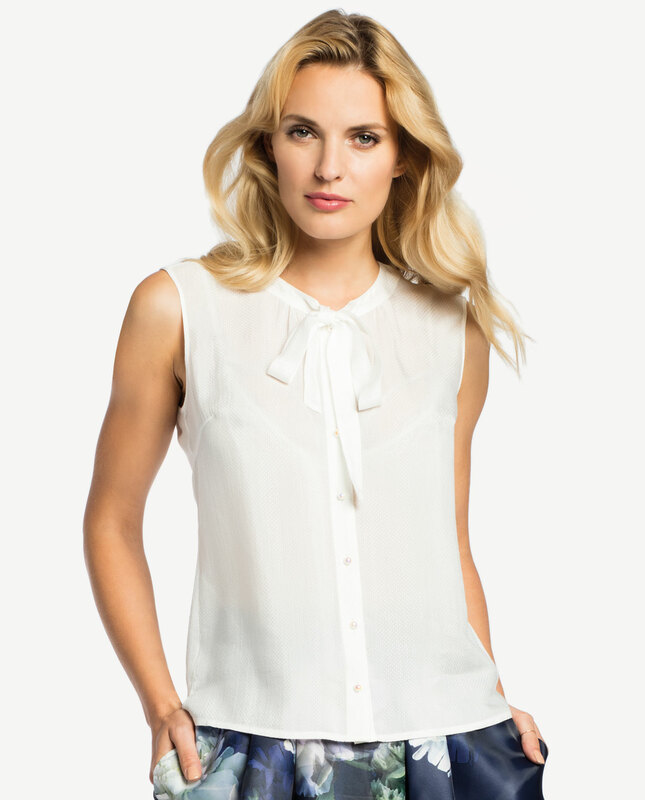 Very feminine blouse with a decorative neck tie. 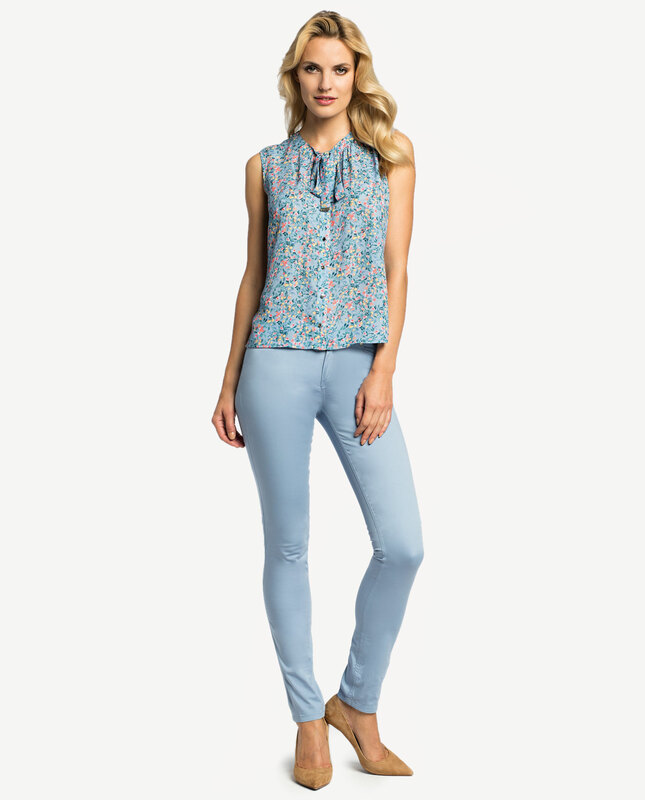 Made from high quality viscose fabric which fits well to the body shape. 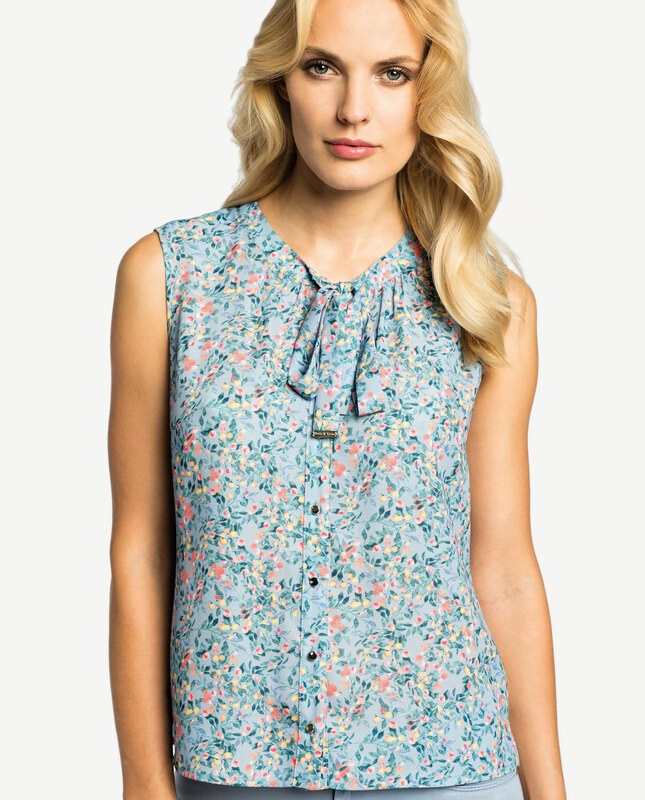 Its vintage style will prove to be timeless and the smart look will make you feel exceptional. The sash around the neckline accentuates your neck. Fastened with golden-coloured buttons at the front. The garment will be a perfect match for jacket or sweater or it can be worn without any other tops. Elegant and versatile, it can create a limitless number of looks: either with a flared skirt or skinny jeans, you are certain to look very feminine and gorgeous.